I just read a very interesting article on Lupe Fiasco and his motivations behind his upcoming sophomore album, The Cool. You would think that with an album called The Cool, it would have something to do with the tone or the feeling. Wrong. Lupe is going for a more macabre, dark type of tone. Then you have "The Street," "The Game," and "The Cool." One of the most remarkable parts of the interview is when he describes these three characters. Yeah. Characters. In his album he will strive to make characters of the three. The Street is the physical embodiment of the streets. The Game represents hustle. The Cool personifies two opposing things, the "Fonzie" type of cool (as he puts it), and the "destructive, chasing the cool...I'm cool because I got a gun...etc., etc." To you this might sound like artistic bull, or it might strike you as a cool concept. 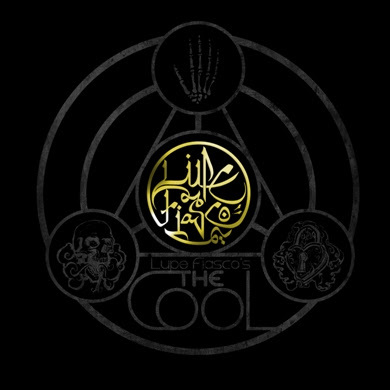 I'm going the cool concept way, because it seems that nobody is doing hip hop the way Lupe is, and this album will probably put him ahead of his time. That is, if he can pull off his metaphor magic act. We'll see.